3C curriculum is a comprehensive philosophy that seeks to create a social place of learning and knowledge where “Why” is encouraged and “What” is nurtured. This approach was developed and fine tuned over the years by MDN Edify Education with the vision of creating progressive thinking Individuals who will create a positive impact in the society. Inspired by various international educators, learners and a variety of learning practices, the curriculum provides a holistic approach towards overall development of students. The goal is to create a participative environment that inculcates self esteem and independence, leadership and innovation, problem solving and responsibility. These are the stepping stones to creating a bright future. Intriguing curious minds and catering to individual learning styles are some key elements of this curriculum that aid in sculpting the skills and abilities of every child. The main focus of this philosophy revolves around the 3C’s which stand for: Character, Competence and Content. Learning through the 3C curriculum is interactive and integrated that creates a life like experience for the child. Understanding is based on application of knowledge through inquiry, experimentation, research and discovery. In this process they become knowledgeable and understand the significance of the gained knowledge. It is constructive learning methodology and academic brilliance that inspires every child to succeed. 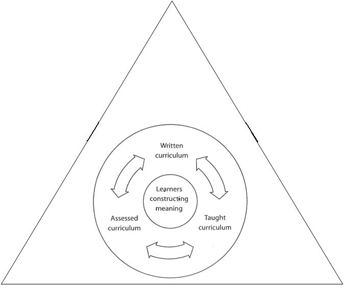 …Our 3C education model revolves around ‘Inquiry based learning’ through the ‘3C approach’ which develops ‘Character, Competence and Content’ in a child, and ensures holistic education to the child. …Our environment and curriculum reflects the natural needs of the young inquisitive mind of the child. …Our holistic education program is designed by infusing the best of international learning practices, which provide the best learning environment to each individual learning style of the child. …Our child centric approach helps the child to give meaning to their world. …Our trans-disciplinary approach caters the need of the individual learning style of the child. With the help of a mastermind team, Edify has developed the 3C curriculum guided by the vision of creating progressive thinking Individuals who will create a positive change in the society. 3C is a unique and progressive concept that seeks to create a social place of learning and knowledge. Where “Why” is encouraged and “What” is nurtured. 3C is an inclusive vast concept where self esteem and independence, leadership and innovation, problem solving and responsibility are emphasized in a participative environment of academic inquiry. The inculcation of these values and many more vital skills will help your child step into tomorrow competently and confidently. 3C curriculum incorporates 6 Trans-disciplinary Themes that enable the children to construct their learning through meaningful everyday life experiences and perceptions that they can relate to. Thus learning is more contextual, analytical, interesting and memorable. Dispositions that are expressions of fundamental values, beliefs and feelings about learning, the environment and the people. Those capabilities that the students need to demonstrate to succeed in a changing, challenging world, which may be disciplinary or trans disciplinary in nature. Significant, relevant content that we wish students to explore and know about, taking into consideration their prior experience and understanding. Assessment is the process where information on each student’s performance is gathered and analyzed to identify what students know, understand, can do and feel at different stages in the learning process. The decision to take responsible Action. Dynamic Presentation on 3C. Moving the cursor on the image will describe the respective element of the image.